In our Creative Cultures series, correspondent Crystal Henrickson spends a day inside companies to learn how hiring, onboarding, and company culture play a role in employee happiness. From startups to design firms and all in-between, we’re pulling back the curtain on what it’s like to work in inventive and productive environments. Today she’s with the loving folks at Meetingmax. 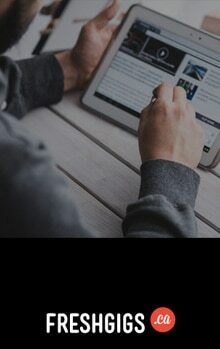 Outside of the corporate travel industry, Meetingmax might fly under the radar. But, with their award-winning culture, family atmosphere and world-class roster of clients—there’s every reason for career-builders to take a closer look. Based in Vancouver, Meetingmax counts SXSW, TED Conferences and the Ironman Triathlon among their many clients, quietly earning them the title of Canada’s largest provider of online reservation software for conventions and events. On this day, I’ve arrived at the office just as they’re hosting a lively open house for friends and clients. 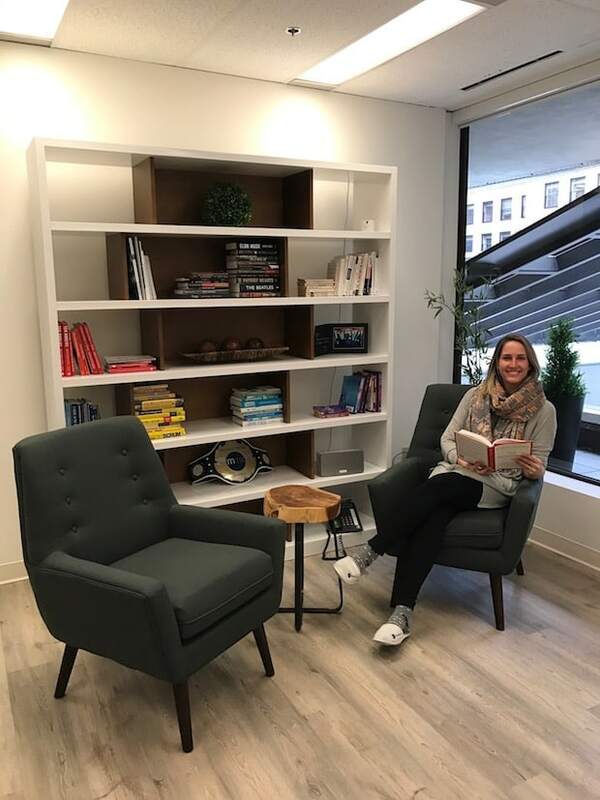 Community & Marketing Manager Kelly Heesterman takes me on a tour of their new downtown digs, with tech powerhouses like Microsoft and Mobify as neighbours. By now, the in-house bar—clearly already a favourite with both clients and employees— is in full swing. As I’m introduced to different teammates, I’m struck by how warm and genuinely welcoming everyone is. “If you’re willing to do the work there’s a lot of reward. For me, the office truly embodies a fun, supportive, family-like atmosphere. We work hard, we are constantly learning and evolving, and we have a lot of fun in the process.” shares Kelly. Barista Mondays, Liquor Cart Fridays, and a slipper optional policy are just some of the fun initiatives that keep employees feeling happy and motivated. 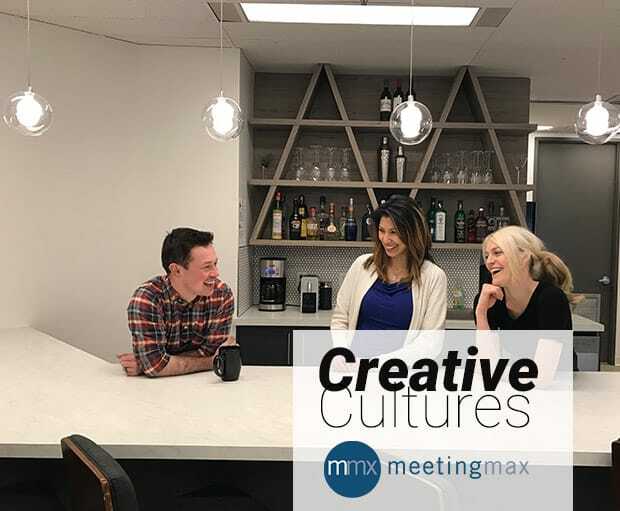 For Meetingmax, it is more than just perks and comfy footwear—it’s about bringing together the right people, and creating the best environment for talent to develop and grow. “Culture doesn’t mean the swankiest office with foosball and a beer keg. Culture to me is most easily described as ‘tribe’. When you’ve found your tribe you are happier, more effective, and stick around because you want to, not because you have to.” explains Jeff Duncan, President & CEO. There’s a collaborative effort to infuse personal accountability and development throughout the organization at every level. Each day begins with a company-wide huddle to identify goals and celebrate wins. Team members create and track their own vision boards, sharing accomplishments with the whole team. Even clients and external community are invited to get involved, often participating in their popular monthly book club. (I recently read and enjoyed their latest recommendation, Anatomy of Peace: Resolving the Heart of Conflict by Jim Ferrell). As a result of this collective effort, employees remark on feeling empowered to exercise their influence and fuel continuous improvement, often going above and beyond for their colleagues and clients. “I came from a corporate hotel background, where all procedures and ‘rules’ came from the top down, and we were simply left to abide. At Meetingmax, it truly feels like we are all building it together as we go. When something isn’t working anymore, we change it,” says Patrick MacCoubrey, Client Experience Manager. Now that they’re all settled in a new office, Meetingmax is looking forward to a sustainable expansion plan, with a number of vacant desks that they’re eager to fill with the right culture fits. Their ideal candidate? Someone who will understand and get behind their core values, thrive on challenging old ideals, and most importantly, hold themselves personally accountable for growth and development. If this sounds like you, Meetingmax is currently hiring for a Technical Support Analyst and Client Experience Manager.